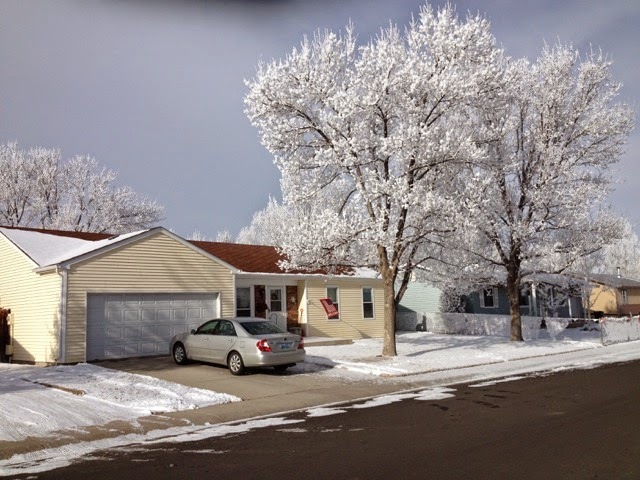 The trees around the house were gorgeous when covered with frost. They sparkled when the sun hit them at just the right angle. 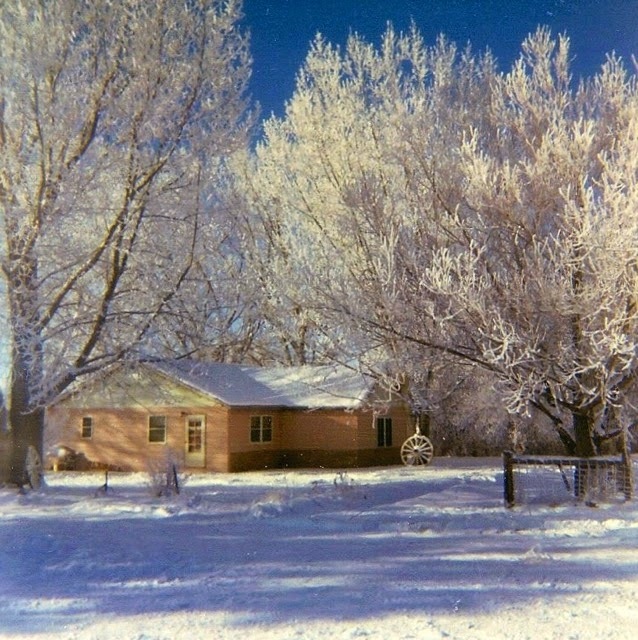 The house was covered with pink aluminum siding in the mid-1960s. The white door, shown in the photo, opened to the living room and was never used in the winter, and seldom in the summer except to have the wooden door opened and the storm door panel removed and replaced with a screen. 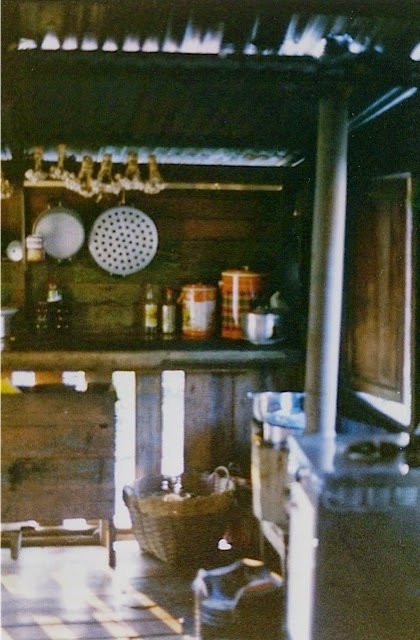 Everyone always entered the house through the porch that opened into the kitchen. The window on the far left was over the kitchen sink. 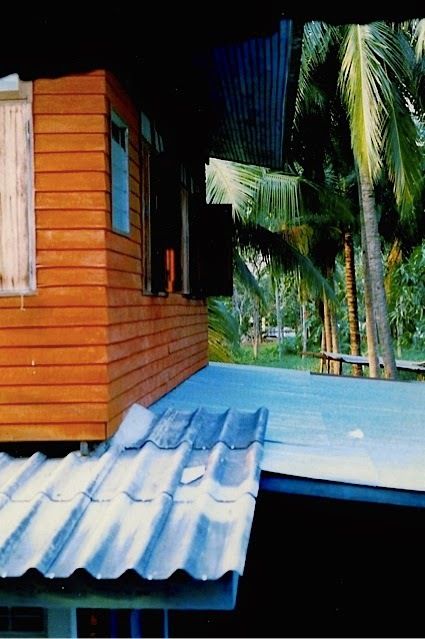 The windows on the far right were in my parents' bedroom. At the end of the year, I like to finish some projects that have been in the works for a while. Last week, I finished the second wool vest for a charity. Previous post with pattern and yarn information can be seen here. I'm still trying to reduce my sock yarn stash, but not making much progress. 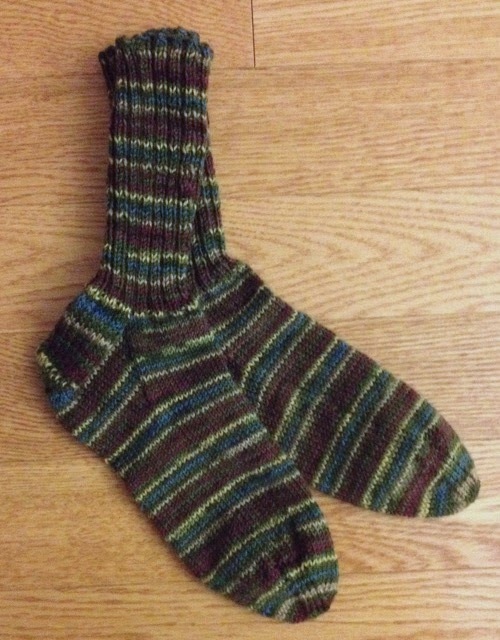 This pair was knit with Wisdom Yarns (Los Angeles #241). Socks in the first photo were knit from a scarf blank - it was a gift, so I don't know the specifics. The photos are old, but my Christmas greeting to you is new. May your day be one filled with wonderful memories - both new and old. I'm knitting from two skeins of Red Heart (Heart and Sole - BlackJack #3972). I had no idea if I had wound the two balls with the stripes going in the same direction as I could not find the same striping sequence on the second ball. 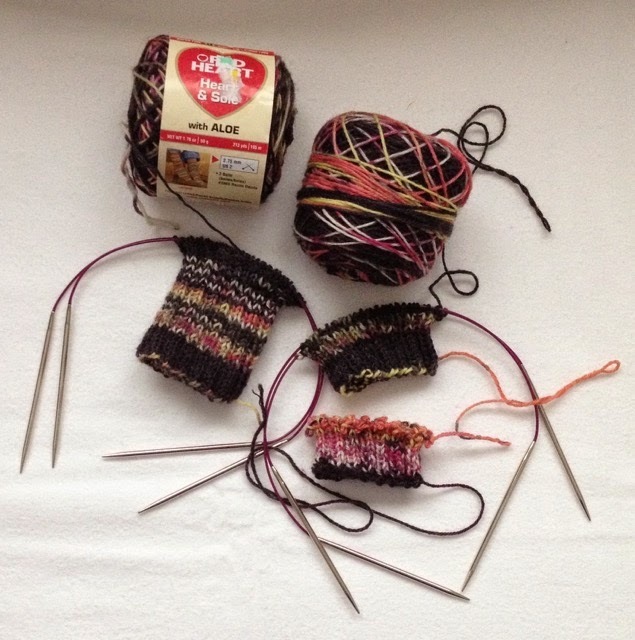 Knitting began with the cuff pictured on the left. I liked the black band at the top, but the second skein would not cooperate. Finally, I decided to just knit - the sample shown at bottom right is the result, and then suddenly, I saw something similar and began again without frogging the bottom cuff - the result is a better match, but fate will determine if they resemble each other as I progress. 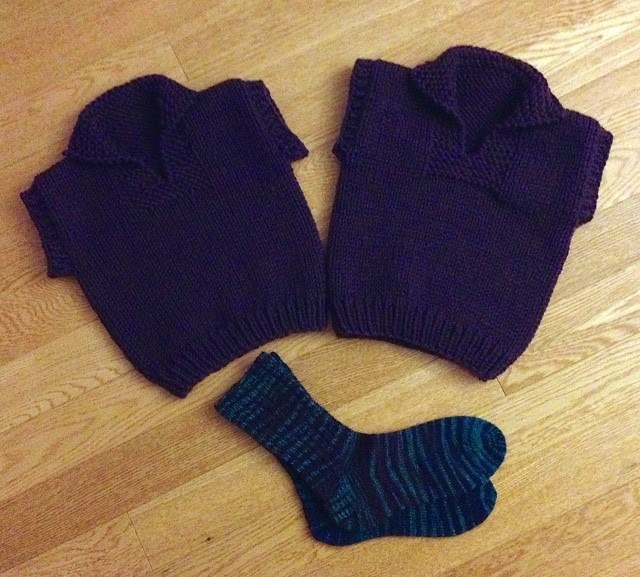 The bottom right cuff has been clipped and frogged: knitting on the second cuff will commence. I am deeply troubled by the state of the world because of the events that are consistently topics on the evening news, buzzing through the Internet and on social media, and even within my own community. People seem to have lost their moral filter(s) and say and do anything that feels good at the moment. It's time to stop the madness. Christmas is not something that should be celebrated only one month or day each year. 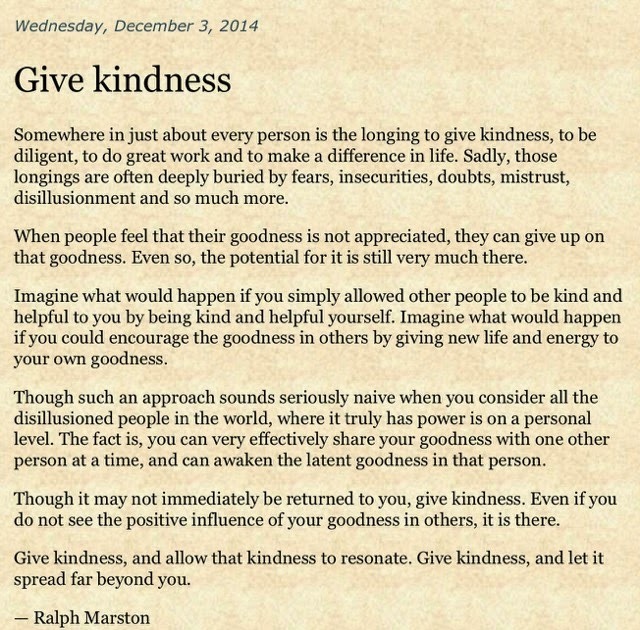 Christmas is not the only time we should be charitable. Christmas is not the only time we should pray for peace. Christmas MUST be a priority throughout the year. 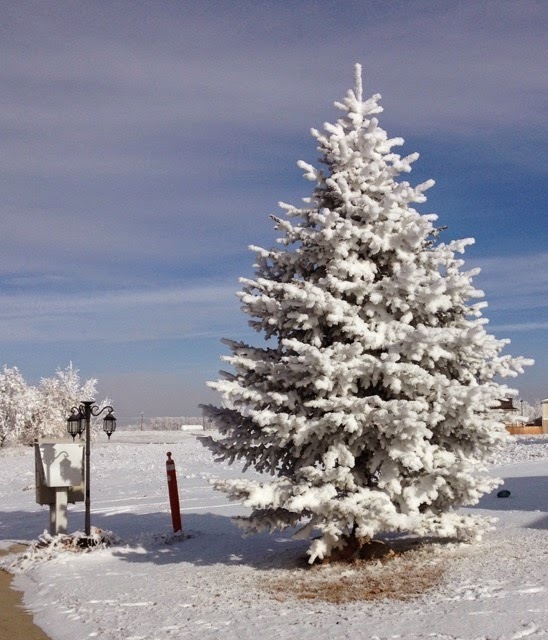 Several days and nights of thick fog created a sparkling Winter Wonderland in Fremont County. 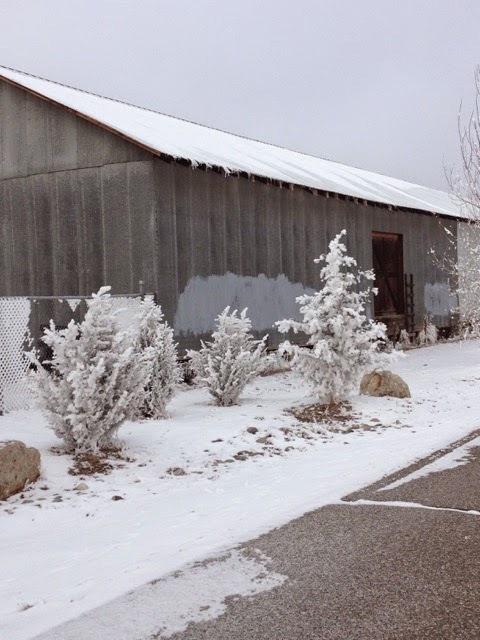 The cold air was trapped in the valley due to an inversion of cold air near the ground and warmer air above. What the valley needed was some wind to cool the upper layer of air and dissipate the inversion. 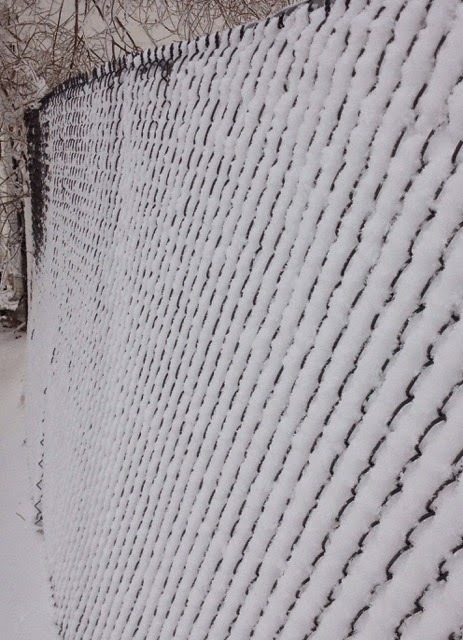 All the trees, shrubs, and fences looked like they had been flocked. 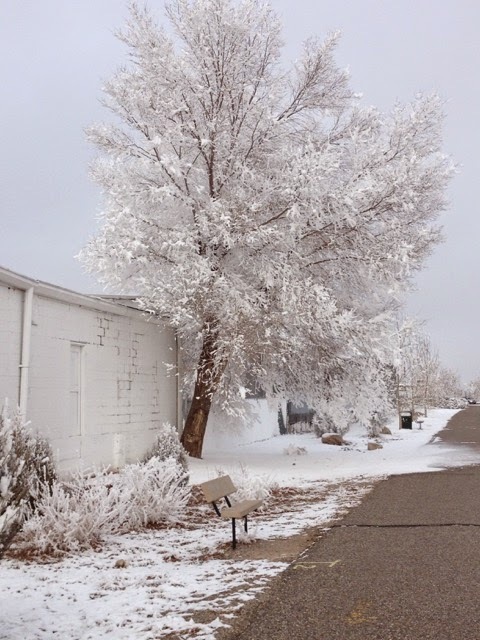 When the sun came out briefly, the frost began falling from the trees, overhead power lines and signs. 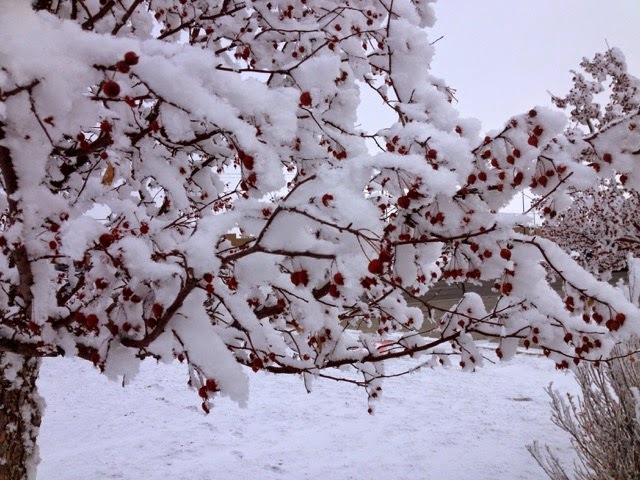 The temperature when I took the photos was 14 degrees Fahrenheit. Mother Nature added flocking to all the pine trees in town just in time for Christmas. 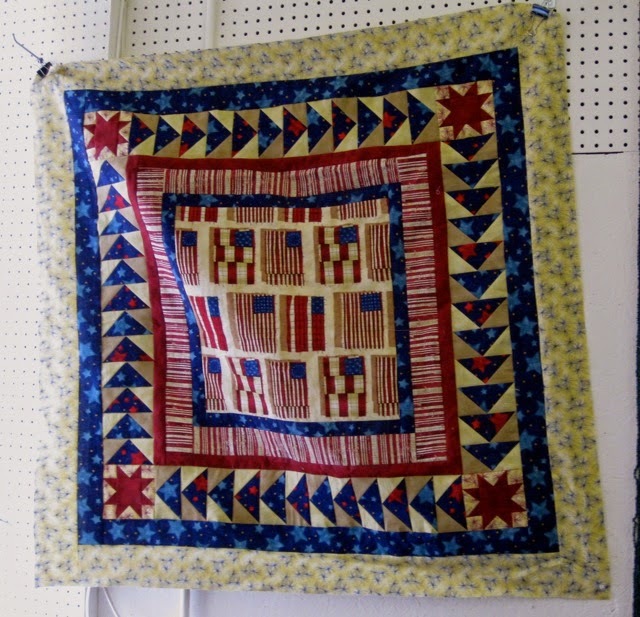 I am pleased to have completed 50 Quilts of Valor - nineteen in 2014. My goal is to have 64 completed by the end of July 2015, making and donating one Quilt of Valor for each year of my age. Old Glory was inspired by a small quilt (click name under the photo for free pattern) that I saw at a quilt shop in Portsmouth, NE. 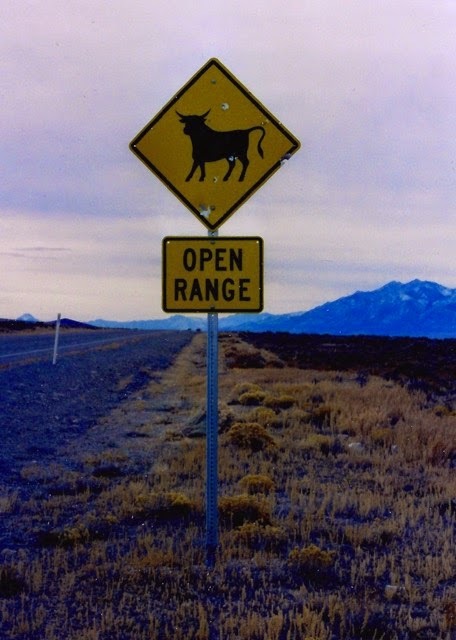 (I believe the shop is now closed.) 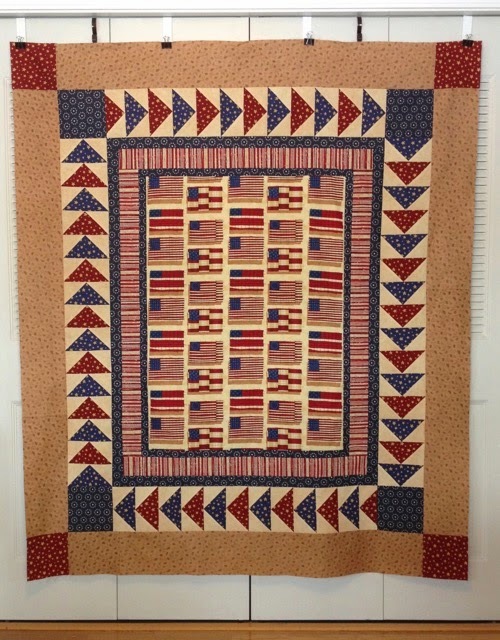 The American Spirit was much too small for a Quilt of Valor, but I liked the pattern and decided to purchase the center flag and striped fabric to make a larger quilt. The fabric has been marinating in my sewing room until last week. To create Old Glory, I enlarged the center fabric panel and also the flying geese. I eliminated the red inner border and the stars because there is a lot of red in the other fabrics that I used. 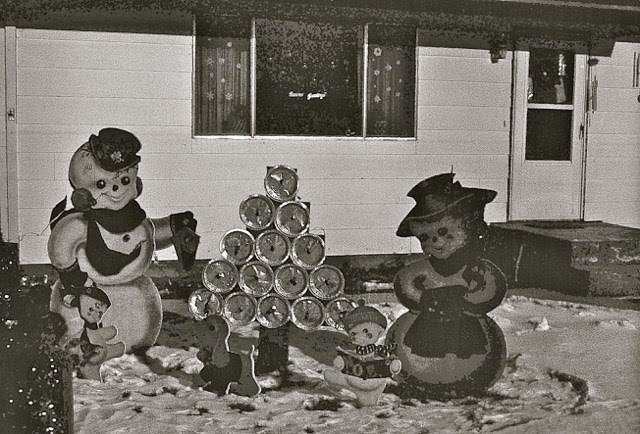 I remember helping my mother and brother make these snowman figures. The colored images were ordered from a catalog and then glued on plywood. A clear coat of varnish was the final preparation. 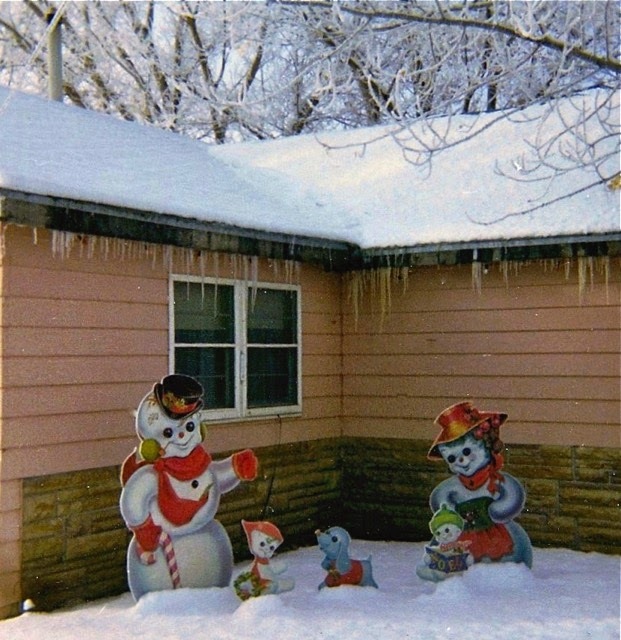 The snowman was about five foot tall and was held in place with a steel fence post. A lantern hung from his left arm, but the wind always blew it off. My mother displayed these figures for nearly 20 years. 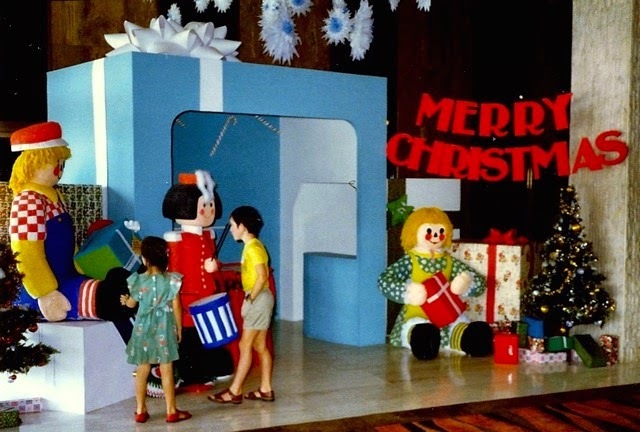 She also had a Santa that stood about 6 foot tall, prepared the same way. Eventually the eaves of the house were outlined with Christmas lights. 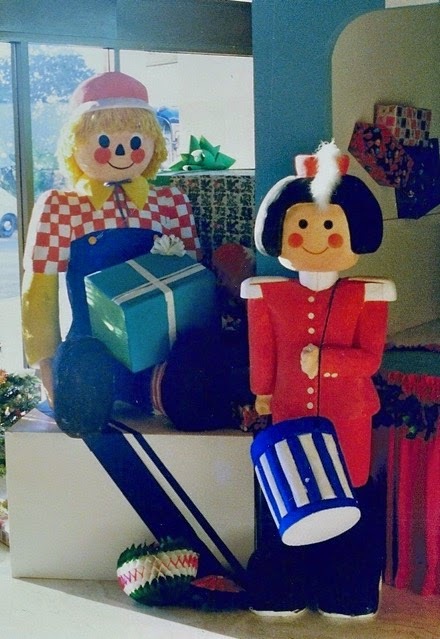 In the late 60s, the farmhouse was one of only a handful in the area that had an outdoor display. 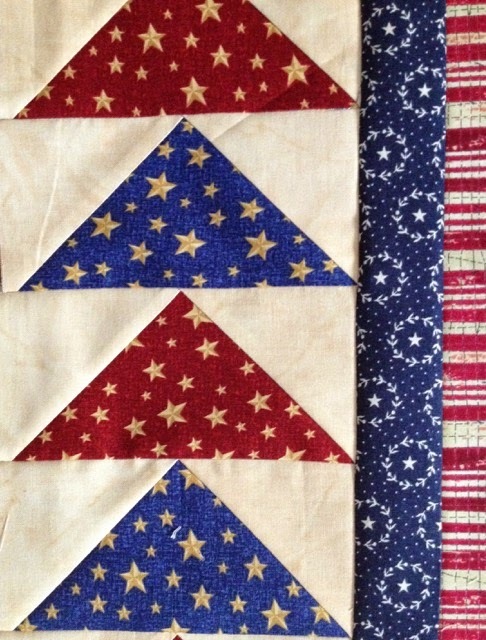 Today, I present a sneak peek at Quilt of Valor #50, that I've named Old Glory. I made a lot of flying geese for this quilt: they are "flying" around the center section. More photos soon as this one will be finished before the end of the year. I am happier with Kismet now that the outer border has been changed. 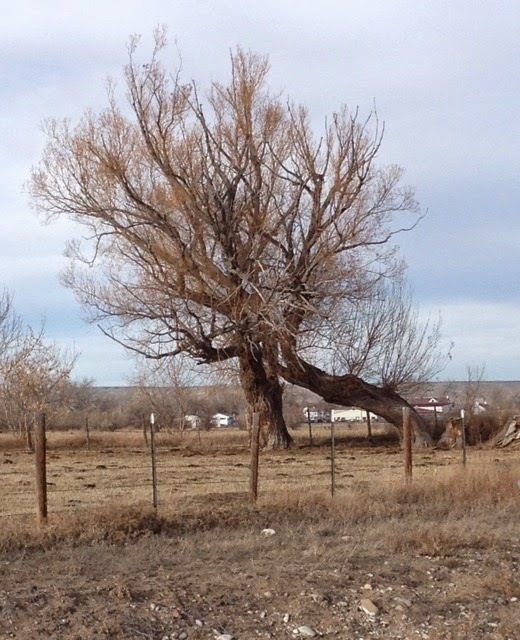 I liked the "before" flimsy, but with all the brown, it was "muddy" to my eye. The black border allows the pumpkin blocks to shine a bit more. 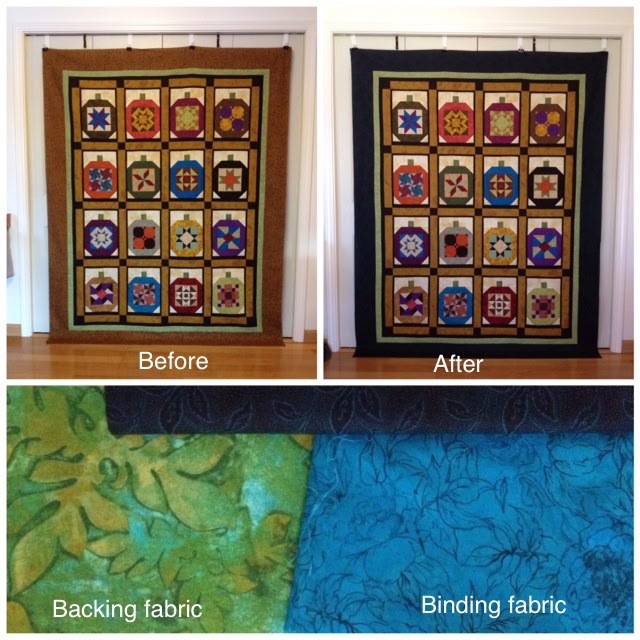 The backing and binding fabric should add a bit of spark to the quilt, too. Earlier posts about Kismet are here and here. 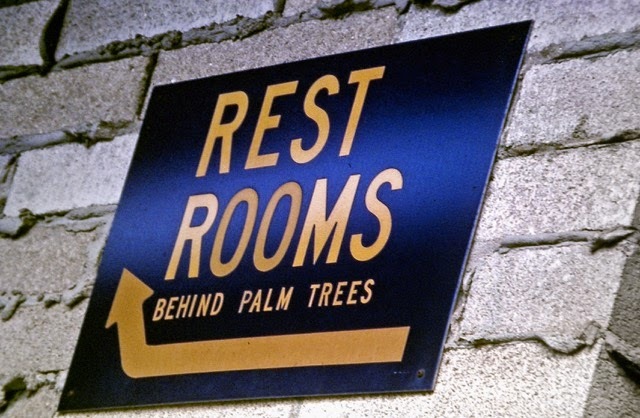 Toilet tissue: how do you hang the roll in your bathroom? 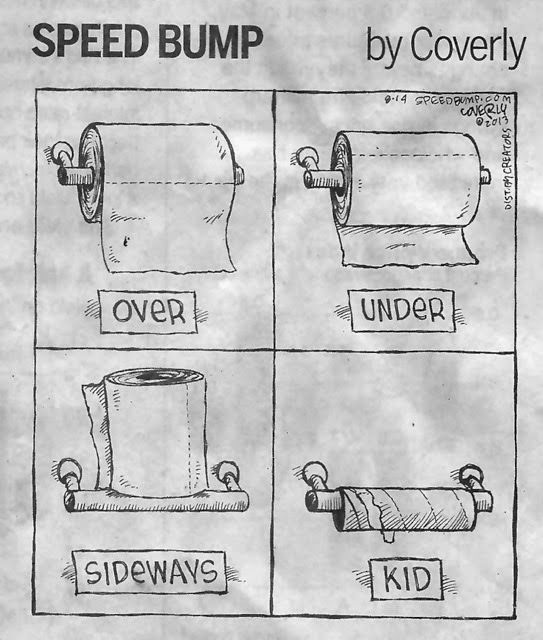 Paper kitchen towels: is the roll hung the same as your toilet tissue? Clothes in closet: do the clothes face left or right on the closet rod? Which pant leg/sock/shoe do you put on first - left or right? Your turn to share. 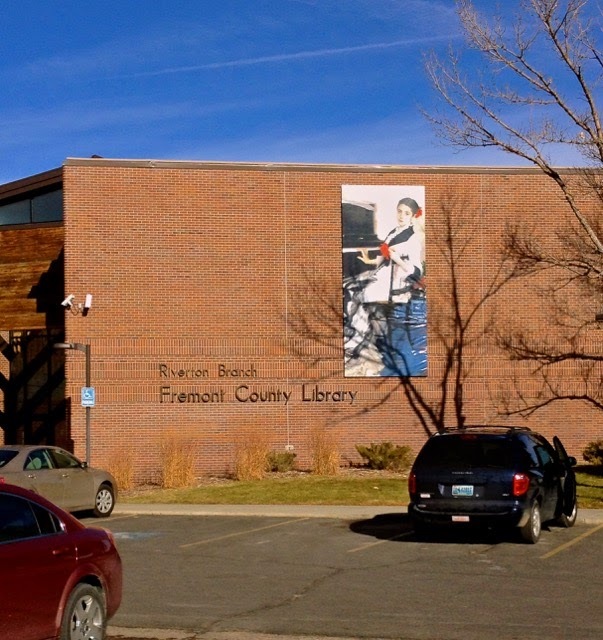 . .
Another outdoor mural was recently added to the collection on display in Riverton. This one is quite elegant. 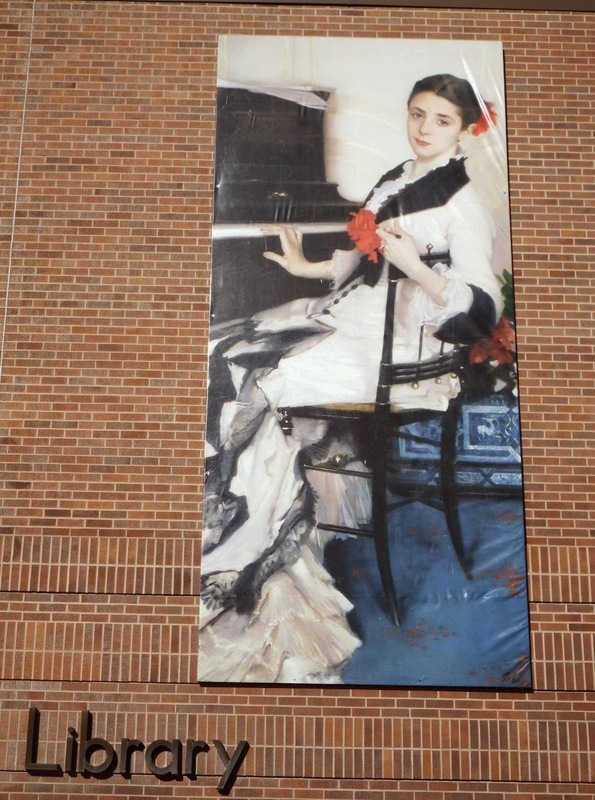 You can read about this mural on this County 10 post. I've posted about the other murals in the Riverton community here. 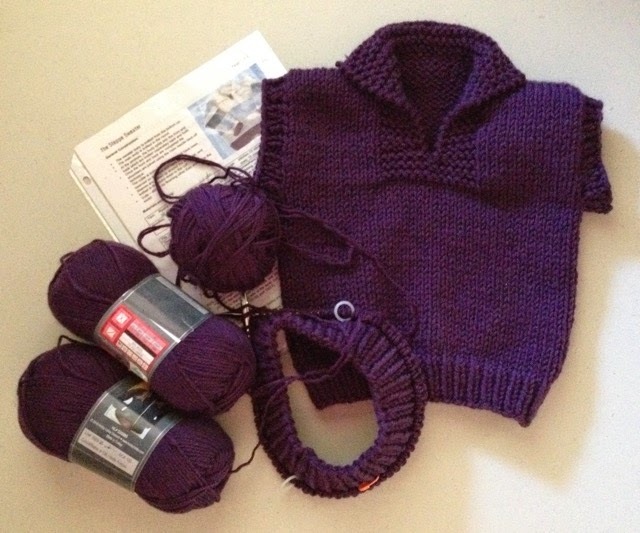 One of the projects on my needles is a child's sweater vest. I nabbed the four skeins of wool several years from a Hobby Lobby clearance bin. When I discovered the yarn in my sewing room this summer, I knew it was time for the yarn to become a child's vest. This yarn definitely lives up to its name because it has a nice feel and knits well. I will purchase it again. 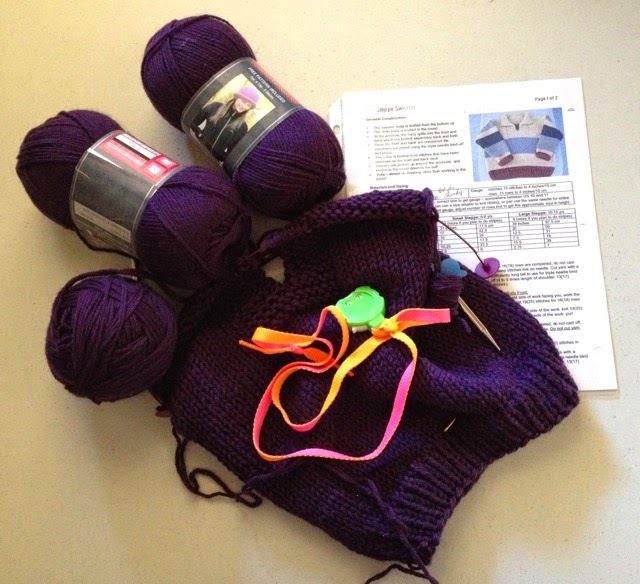 Note to self: a child's vest, size Small requires 6.1 ounces of double-stranded yarn. 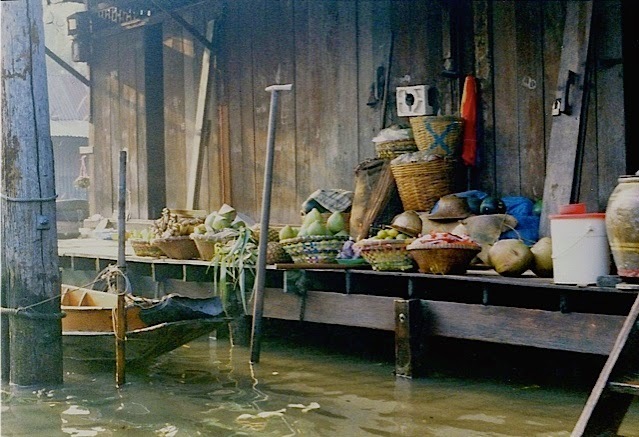 Those who live in the city and travel multi-laned roads deal with traffic jams and merging traffic on a daily basis. 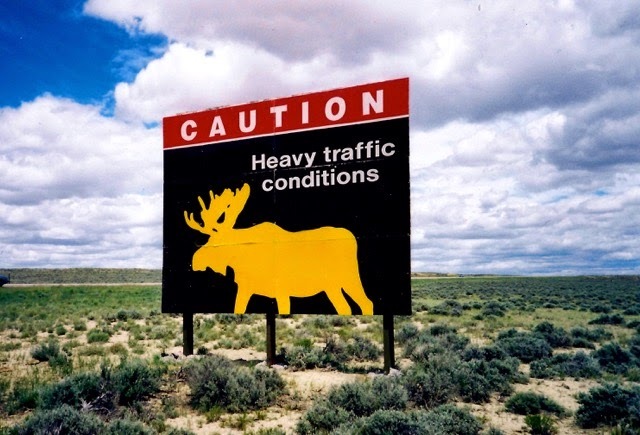 While Wyoming is basically a rural state with wide-open spaces and lots of range land, drivers must deal with four-legged traffic more than the the vehicular kind. 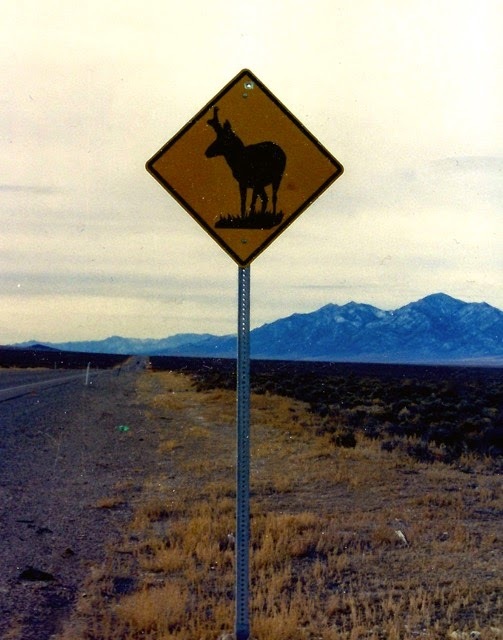 Wildlife do not heed speed limits and keep their own hours, so drivers must be cautious all hours of the day. 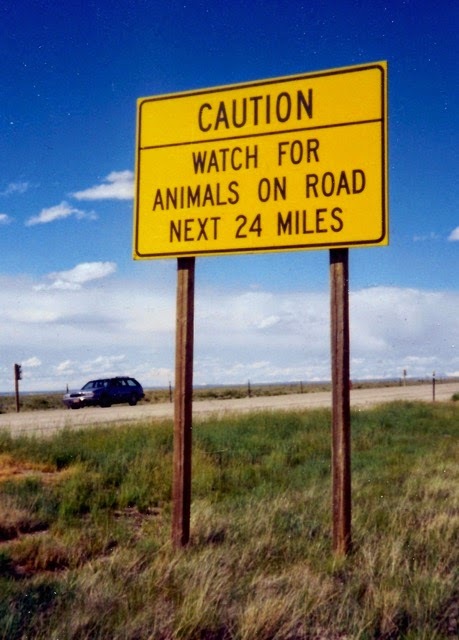 Along WY 28, the Highway and Game and Fish departments erected serious yet humorous signs to remind drivers of the four-legged traffic. 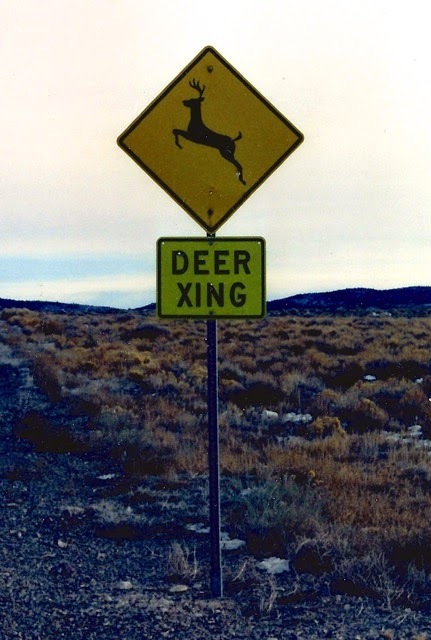 Other signs can be found at or near specific game-crossing areas. 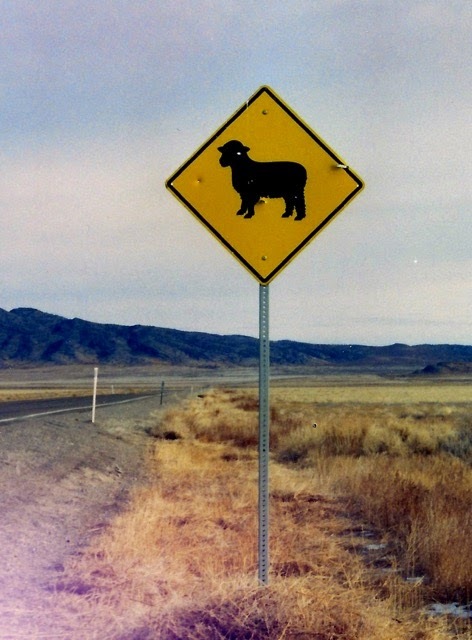 Some of the four-legged traffic on the Open Range (public land leased for grazing) is domestic - sheep and cattle. 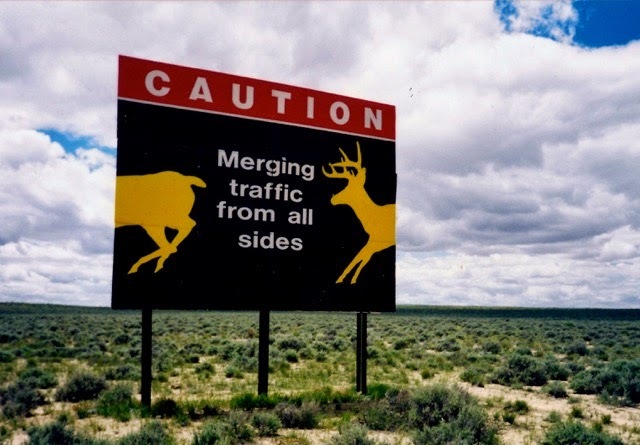 While driving in Wyoming, especially off the Interstates, it is vital to keep your eyes open and watch for animals even if signs are not posted.